Finally ready for showing. This gently lived in home was built by Pyramid Builders in 2001. 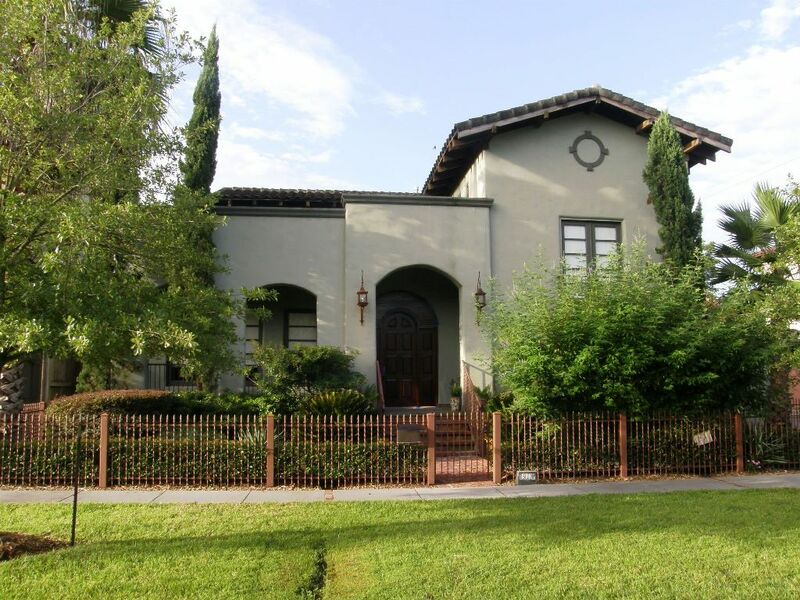 This Spanish Revival/Mediterranean style house is still featured on the builder’s website. 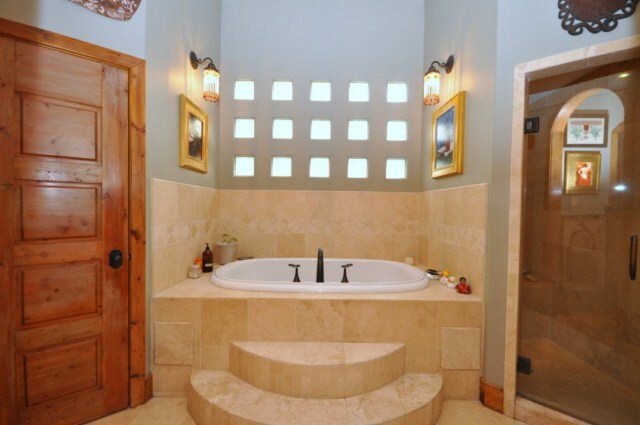 See info on this premier Houston Heights builder. 10/09 Note: This house was taken off the market, now back on the market at a greatly reduced price of $549,900. Call for more info..
Stucco exterior with tile roof, this house stands out from its surroundings. 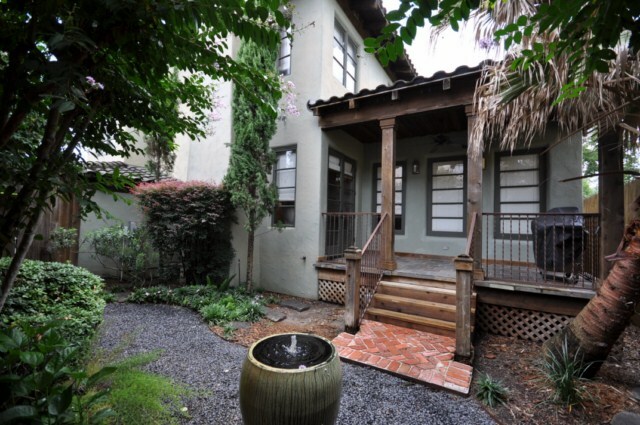 Deeply landscaped yard and secluded courtyard make for a wonderful retreat. Inside Houston’s 610 Loop in the ever-popular Houston Heights. 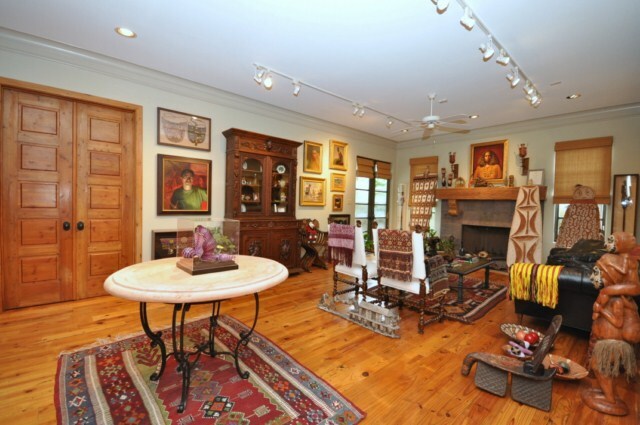 If you love entertaining or showcasing your artwork, this is the house for you. 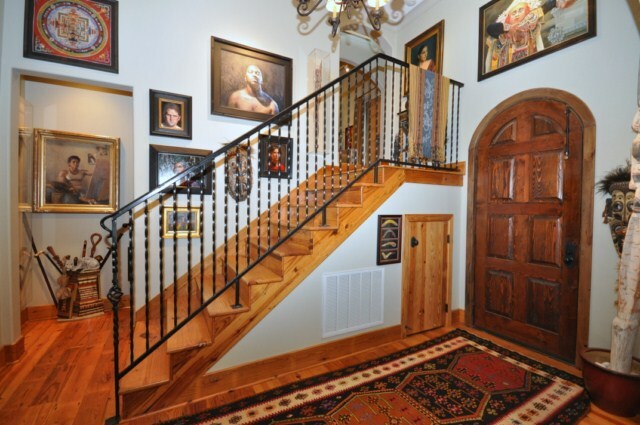 If you appreciate unique, custom woodwork, wide-plank pine floors, arched doorways, soaring spaces and a media room you need to visit. Unique Spaces Inside and Out. Even the entry is impressive! Massive wood door, wide-plank pine floors. 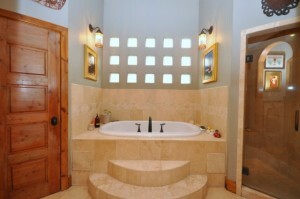 A downstairs master suite is part of the unique floor plan. For details of room sizes, features, etc, see the listing on my HAR.com website.